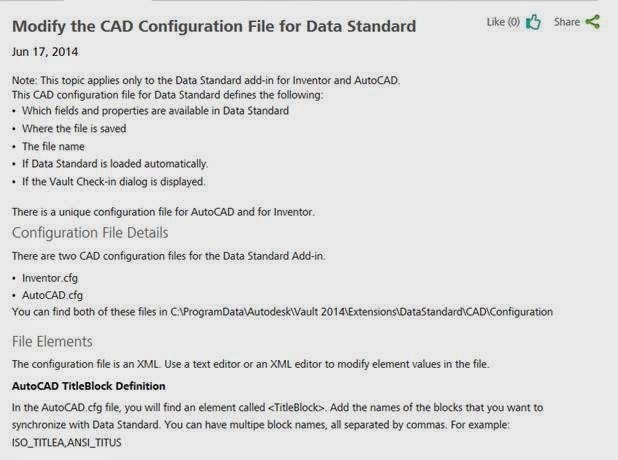 What readers may not have realised is that this Data Standards in not just aimed at the Inventor users of the Vault fraternity, it is also for users of AutoCAD based products too. 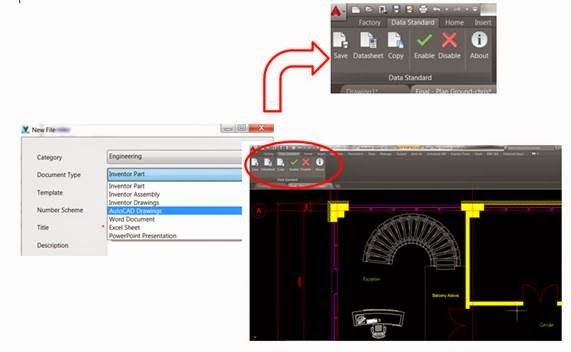 Taking a look at the top left image, the first thing to realise is that through the Vault Explorer add-in, Data Standard not only allows the user to define a range new data (including AutoCAD files), but it can also provide access to use company standard based templates, and include the necessary property entries. In practical terms, users of AutoCAD based products, no matter the discipline (AEC, Mechanical etc.) can both prepare and manage data directly from AutoCAD, applying standard templates etc. stored and controlled within Vault. You will also find a wealth of instructions on how to setup and modify the sample xmal and ps1 files provided in the Vault add-ins.